A shooting was caught on camera on the city's Northwest Side Saturday evening after the Puerto Rican People's Day Parade. 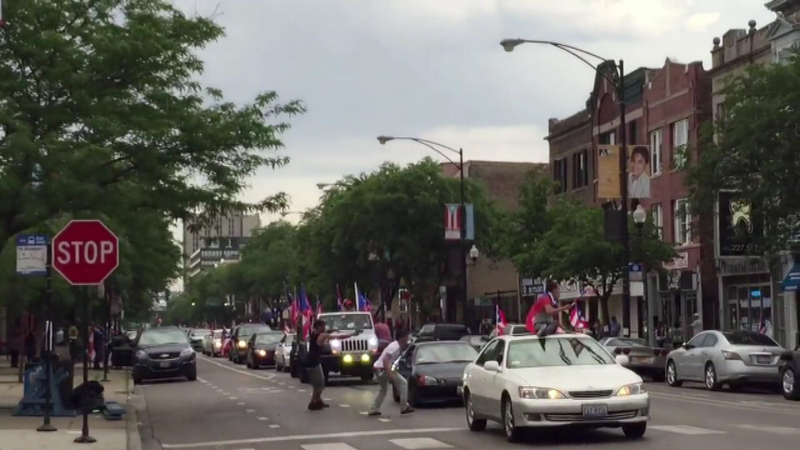 CHICAGO (WLS) -- A shooting was caught on camera on Chicago's Northwest Side Saturday evening after the Puerto Rican People's Day Parade. Crowds were still gathered after the parade around 6:30 p.m. Saturday in the 2600-block of West Division in the Humboldt Park neighborhood. Chicago police said that one person went to the hospital with a gunshot wound to the foot. There are reports that the shooting involved gang members.